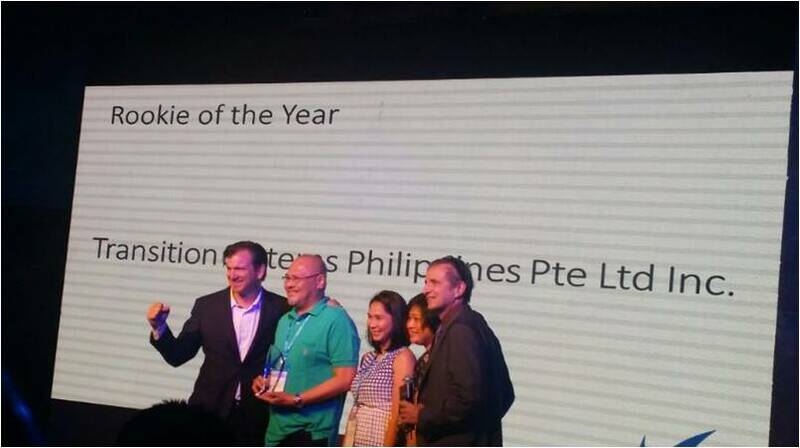 SINGAPORE, 30th June 2014 - Barracuda Networks, a cloud-connected security and storage solutions provider, has named Transition Systems Philippines as Rookie of the Year Award 2014. The award was presented at Barracuda Networks Asia Pacific Partner Conference held in Grand Hyatt Hotel Shanghai, China. Barracuda provides cloud-connected security and storage solutions that simplify IT. These powerful, easy-to-use and affordable solutions are trusted by more than 150,000 organizations worldwide and are delivered in appliance, virtual appliance, cloud and hybrid deployments. Barracuda’s customer-centric business model focuses on delivering high-value, subscription-based IT solutions that provide end-to-end network and data security. For additional information, please visit http://www.barracuda.com.